For me, as an art and design lover, any visual proposal that allows me to discover new ways to look or to see my environment is always exciting. It’s very inspiring to find different or unusual things that unravel in front of your eyes. When I think about architecture I automatically tend to picture either classic art history examples or really futuristic constructions with large windows, clean lines, and diaphanous spaces filled with carefully designed and placed furniture. But in reality, we can’t escape all the trashy and clumsy examples that frame our sight on our daily way to work or while we walk the streets of Berlin. 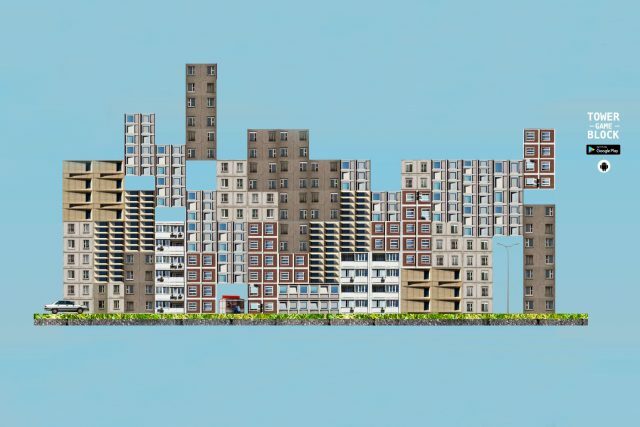 In the German language, there is even a word for those concrete blocks that make Berlin look like a grey Tetris game and it’s called: Plattenbau. If you heart Berlin as much as we do, you probably have already found The Hidden Beauty of the Plattenbau architecture, or you might even know the Cuckoo Blocks clocks, a really ingenious reinterpretation of this style of construction. 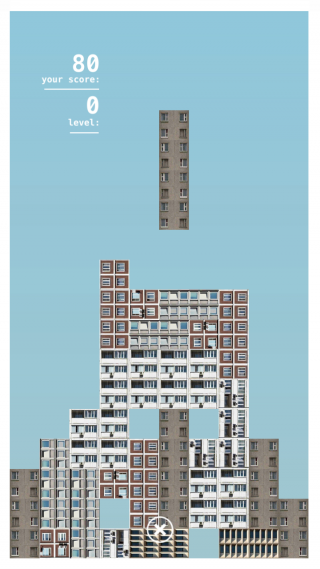 Another funny and really playful approach to this architecture trend is the Tower Block Game by Lukas Valiauga. 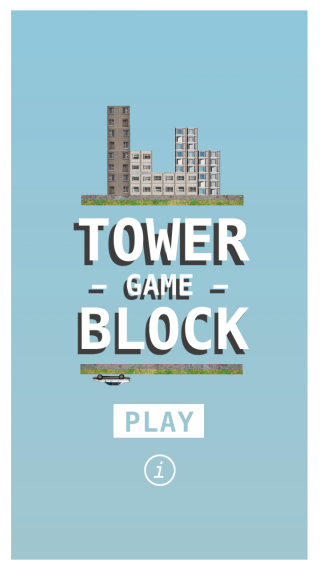 He is an interaction designer that has developed this funny app game so you can feel like a child again and play while creating your own tiny city of Plattenbau buildings. Whether you want to create a harmonious and balanced landscape, sow chaos or try impossible combinations you can do it in your own digital realm. As the game depicts an Eastern-European architecture style that you will also find in many parts of East Berlin you can really see the connection the city. 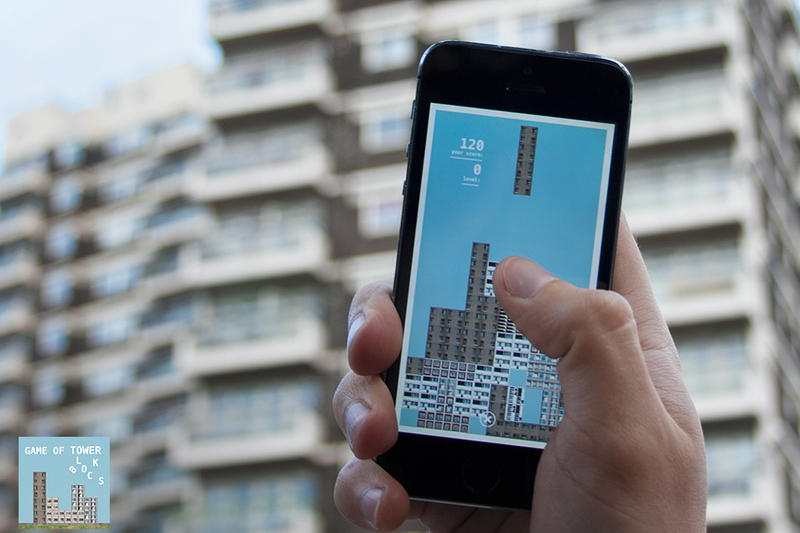 The app is a playful reinvention of the immortal classic that is Tetris, perfect for keeping you entertained while waiting for the U-Bahn, when you have already gone through Instagram for the tenth time or when you can’t connect to the Wifi. The app is available for free in the Google Play app store for all Android devices.